If you are well underway with saving towards your deposit and you have explored your finance scheme options with Barratt London, now is the time to pick your London development, choose your plot and start to make your new build property dream a reality. And remember, the earlier you secure your property with a deposit in the build phasing, the more flexibility you have with any upgrade options or personalisation choices when it comes to flooring, tiling and other fixtures and fittings. 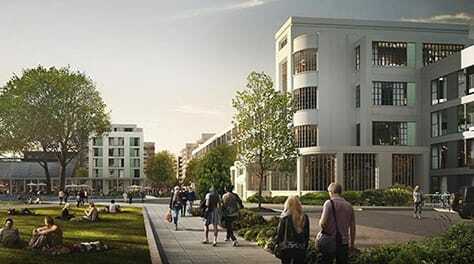 Over the next 7 years, Barratt London will be building over 1,300 homes on the site of the former Nestle Factory in Hayes, an area undergoing significant regeneration. Launching in spring 2019 when one, two and three-bedroom apartments will be available to buy for a mid-2020 move. Hayes Village – Launching in early 2019. Home to the Kodak Factory for 125 years, this landmark site in Harrow will soon offer more than 1,000 new homes in addition to offices, retail space and extensive parkland and communal areas. The first phase of the development will provide 460 one, two and three-bedroom homes by 2021, available to move in from late 2019. 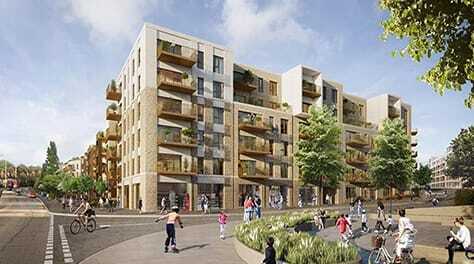 Eastman Village – Buy with just a 5% deposit. 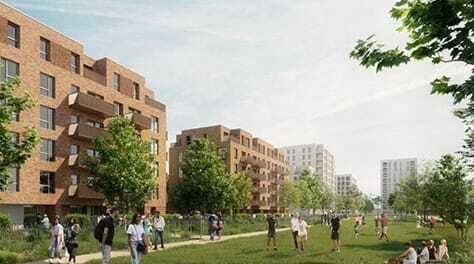 Millbrook Park will consist of 345 apartments and 10 houses, set in a landscaped parkland offering far-reaching views of London. The site will include new parks, primary school, public piazza and Millbrook Plaza with proposed restaurants, shops and office space. This Zone 4 development will be available to view and buy in 2019, with move in from spring 2020. Millbrook Park – Zone 4 location coming soon.